TME’s offer has been enriched by new industrial lights from IDEC. 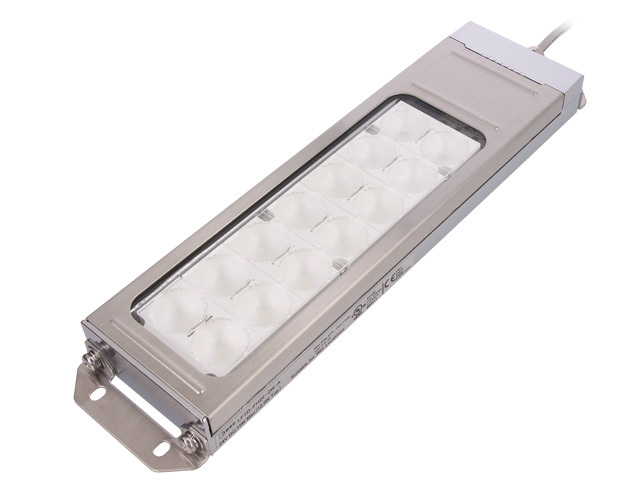 The LF1B-N series lights feature a single row of energy-efficient LEDs, and due to their very small dimensions (16mm height) they can be mounted even in a limited working space. The IP65 degree of protection ensures resistance to dust and water. IDEC lights are available in 6 different lengths and with two types of lens: transparent (for higher brightness) or diffused (safer for eyes when directly looked at). The lights come in cool white colour. Whereas the LF1D lights feature a special cover, thanks to which they offer a higher degree of protection – IP69K. This guarantees resistance to high pressure water and oils. The lens is made of reinforced glass. The manufacturer has used the brightest LEDs in their class. They are characterised by low power consumption and excellent durability (the illuminance maintains a minimum of 70% of the initial value for the period of 50,000 hours). The LF1D series is designed for illuminating large areas with machines or machine tools. Check out the full offer of industrial lights from IDEC.